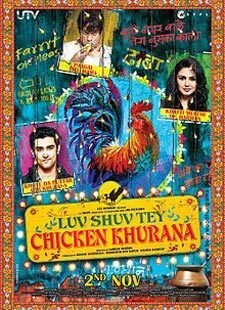 Luni Hasi Lyrics of Luv Shuv Tey Chicken Khurana : Luni Hasi is a beautiful hindi song from 2012 bollywood film Luv Shuv Tey Chicken Khurana. Devendra Singh has sung this song. Aayi khabar be-naseebon se roothi khushi..
Ambara nu chhu la haaye..
Tere utthe haaye mar jaava gud kha ke..